Unlike superheroes, do-gooder reporters aren't supposed to lie all the time. "...with great power there must also come—great responsibility!" So reads the last panel of Amazing Fantasy #15, the 1962 Marvel Comics issue that would launch Spider-Man into the popular consciousness. While Peter Parker would generally make good on that statement with his powers as a human-spider-hybrid crime fighter, he would go on to fail miserably at doing the same with his powers as a member of the media. However, spunky photojournalists/mild-mannered-reporters also have ethical obligations that should clash with supernatural crime fighting. The media is, in theory at least, supposed to be honest. Putting on a costume, coming up with a fake name, and lying to everyone about what you really do are the opposite of that. Up until a few years ago, and for the majority of his 50-year existence, Peter Parker committed repeated acts of fraud against his employer, The Daily Bugle and its editor-in-chief, J. Jonah Jameson (who would later, as the mayor of New York, employ Parker as a photographer). He sold staged photos of himself as Spider-Man and used his position in the media to influence the public's perception of his actions. Meanwhile, Superman, as award-winning Daily Planet reporter Clark Kent, has reported on himself and given privileged information to his girlfriend, Lois Lane, whose relationship with Superman remains undisclosed. This kind of rulebreaking has gone basically unremarked upon for decades of Spider-Man and Superman comics, TV shows, and movies. But in the new millennium, the tension between super-person and alter-ego has been explored in a few interesting ways, hinting that fans aren't as comfortable anymore with their selfless spandexed crusaders moonlighting as deceitful newspapermen. Clearly, Parker had superior knowledge of Spider-Man’s identity. Jameson had no clue who Spider-Man was and certainly didn’t suspect Parker. The information was not readily available, as demonstrated by the fact that quite a few people, Jameson included, had tried and failed to determine Spider-Man’s identity. 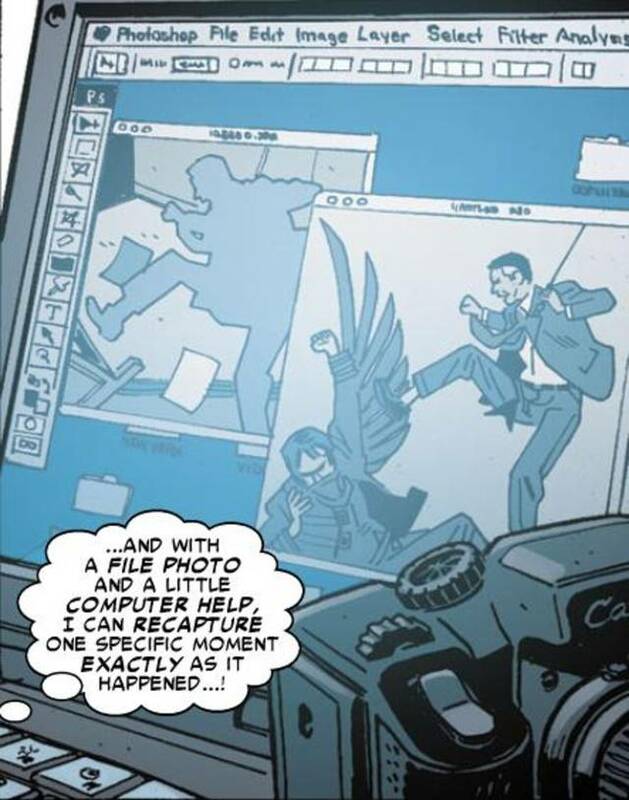 And it can reasonably be assumed that Parker knew that Jameson wouldn’t have bought the photos if he knew they were staged and being sold to him by Spider-Man. So Parker’s misrepresentation by omission will suffice. It’s also definitely a material misrepresentation (i.e. it would have made a difference in whether a contract was agreed to) because Jameson would not have bought the photos if he knew the truth. In a 2010 storyline of the Amazing Spider-Man comics, Parker finally loses his job after he's caught doctoring a photo in order to clear the name of a man (Jameson) he knows—from his doings as Spider-Man—to be innocent. Parker is outed at a press conference and essentially exiled from photojournalism. But while he finally received professional retribution, the moral arc of the comic-verse bends again in his direction. Before being fired, Parker is lauded for saving Jameson and the jobs of everyone under him. At the end of the storyline, even Parker concludes that while he did a stupid thing, he did it for the right reasons. Superman's most recent comic-book iteration sees the vigilante ethos seeping even further into his civilian occupation. In DC's New 52 universe, Clark Kent, fed up with what he perceives to be a flawed system, leaves his long-time employer, The Daily Planet, to become a lone blogger. "I was taught to believe that you could use words to change the course of rivers," he declares upon his departure. "That even the darkest secrets would fall under the harsh light of the sun." Behold the Super Blogger, an unchained social activist and superhero all rolled into one. Recent onscreen portrayals of these two flagship heroes have so far downplayed their journalistic roles. Henry Cavill's Superman in Man of Steel makes his earthly cash on a fishing boat, far from any moral conflict. Meanwhile, The Daily Bugle has so far been an afterthought in Marc Webb's reboot, the second installment of which hits theaters Friday. Both franchises have hinted at a return of their protagonists’ reporter identities, with Webb expressing a desire for J.K. Simmons to return as Jameson and Henry Cavill donning Kent’s iconic glasses at the end of Man of Steel. But with the falling public regard for journalism in recent decades, it seems like these characters may need to approach their civilian occupations differently than before. In the Internet age and following a few Mike Daisey-style scandals, it’s tough to be charmed by a purported truth teller who lies for what he believes to be greater good. In other words, with the power of the pen comes responsibility, too.